Finally am back from home after a lo…..ng vacation of almost 2 months. The important works were done with satisfying results so I boarded the flight with relief…but with a heavy jeart, felt sad leaving parents behind. More this time, as now they miss their grandson and his all day long activities a lot. Though this time my younger brother accompanied me for a short vacation here but still am missing Maa, Baba, Niece, Elder brother, cousins and everything about HOME. Our house was in a big MESS, two months clutter and dust invited me with open hands and I was not sure where to start my cleaning from. Everything in the house was bathed in dust and grime and for the past three days I had to run the washing machine twice daily to get rid of the unwashed clothes. Even that was not enough the garden resembled a mini jungle and my cub wanted to play hide and seek there. But the thing that almost brought tears in my eyes was the sight of my plants. 90% of the plants have dried as when Hubby was abroad the maid didn’t appear to water them. All my rose plants, chrysanthemums, hibiscus, mogra, crotons are dead. Can’t help as life needs to move on and that too on a fast pace if you have a toddler to deal with. So I put my hair in a bun, deposited the baby to brother, ordered home delivery and equipped with some cleaning equipments started cleaning the house. The next morning the same suit happened but then in the afternoon stomach started grumbling and we were in dire need of some food. None of us wanted another home delivery so thought of some quick one pot meal. 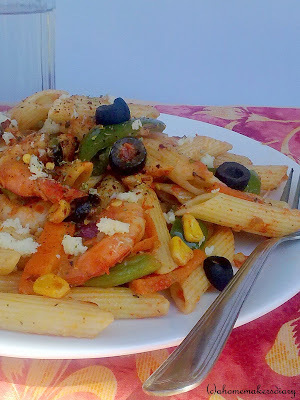 A plateful of Penne with frilled vegetables and prawns stirred in a spicy tangy tomato sauce. These prawns I have brought from home (like every time) and Maa lightly fried them with salt and turmeric. With the help of the OTG the meal was very quick to prepare. And that was absolute yum and satisfying, after which we were in no mood to get into cleaning spree and finally decided to have some afternoon nap. The house in now in better shape but still another week’s work is left. I also have brought some plants from my Maa’s beautiful garden which I already have planted. 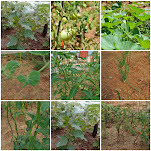 Hope they will thrive and flower soon. As in the blogosphere, I am extremely sorry for being irregular for a long time. I have missed so many of your great posts, a lot to catch in the dashboard. Hope to get back to action as soon as possible. 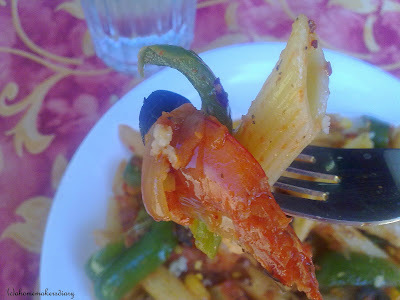 Here is the quick recipe of the pasta that we all cherished. Cut the veggies and mix with salt and few drops of oil. Place them on a baking tray and grill for 5 minutes at 300 C. keep aside. In the mean time prepare the pasta according to the package instruction. Boil them in plenty of water with salt and 1 tsp of oil. It should be al dente or firm to bite. Also at the same time boil the tomatoes with salt for 7-8 minutes, peel and grind them to a smooth paste. Chop the garlic and olives, keep aside. Heat 1 tbsp oil and put half of the garlic. Once they turn light brown add the tomato puree. Taste the seasoning and let it boil on medium heat till it turns to gravy like consistency. Mix in some oregano, chilli flakes and Keep aside. Now heat the rest of the oil and add the remaining garlic. Fry till light brown and add the sliced onion. Sauté on medium flame. Once they are translucent mix in the veggies (except olives), prawns, salt and chilli flakes. Fry for a couple of minutes and add in the tomato sauce. 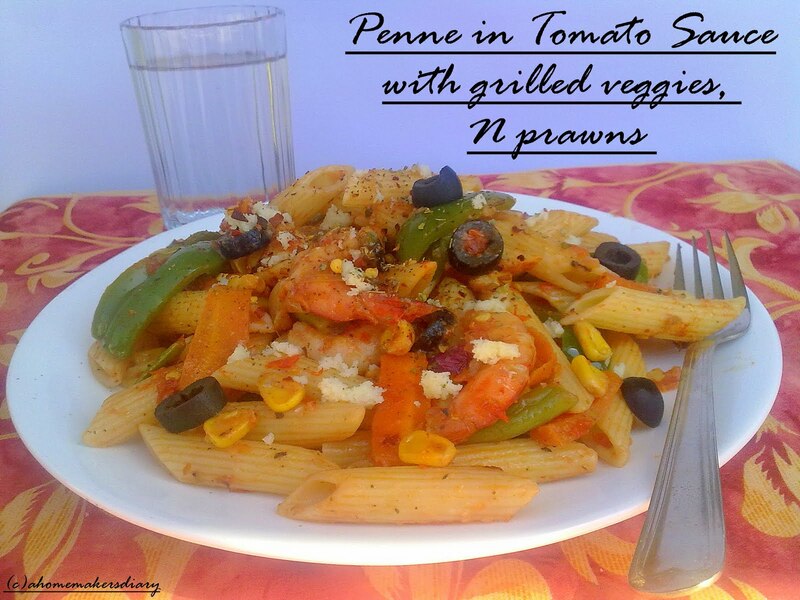 Let it coat all the veggies and prawns and then tip in the boiled penne. Mix with light hand as you don’t need broken pasta on your plate. Mix chilli flakes, oregano, olives and adjust the salt. Give it a good mix. Finally sprinkle the grated cheese and serve hot with some drink of your choice. We had ours with Sprite. Welcome back home...Glad u have wonderful moments with ur family to relish with.. Pasta looks gorgeous...lovely presentation dear. Sayantani, so you're back. I can well understand your feeling finding your garden in such a bad shape and with some plants dry and dead. Plants are like babies and they missed your presence and nurture. 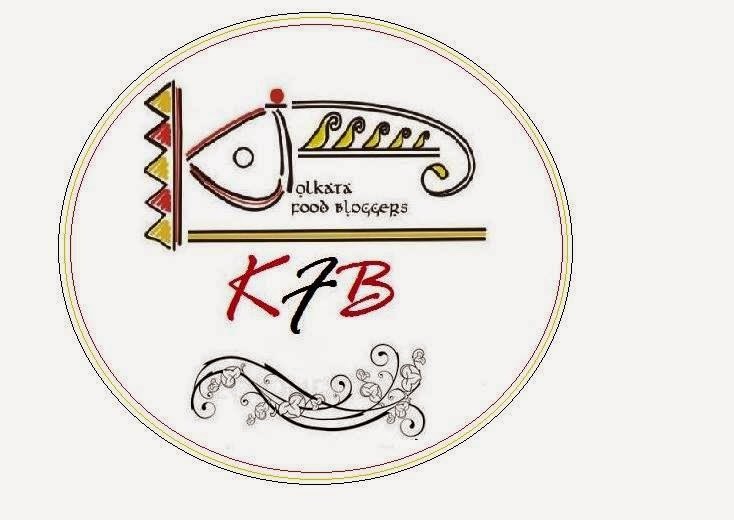 Badi bondo rekhe gele khoob kharab abostha hoye. Clean up the rest of the dirt and dust and be back again with another recipe. Welcome back sayanthani, i know how it feels after coming back from parents place, few days its really very difficult..,i hope everything is sorted out....And abt the dish pasta looks delicious,colourful and nice recipe too..
good to see you back with this yummy recipe.Hope everything gets better there.And hope your garden grows good with those plants from your mom.Amar shashuri O chingri/ruimach/ilish mach eyi rokom kore bhalo kore bheje pathato jokhon amra abaar nijer karmokhetre pherot ashtaam. Glad to see u back Sayantani..Pasta with veggies and prawns looks super delicious..Beautiful dish..
hope u had a wonderful time with ur family.. 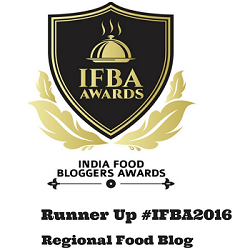 Thanks jaya, Goridi, Jay, Prani, sushma and Priya. your comments keep me going. nice to see you back. I can imagine how bad the cleaning work would be. I have seen a clean house become totally dusty by evening, so 3 months is a lot of dust. Good Luck. This delicious pasta is absolutely the kind of encouragement you need. So nice to see you back, Sayantani! Glad to know that you had a great and fun-filled vacation. On the flip side sad to know that your plants have dried up, but may be thats an occasion to plant new ones :) penne with prawns looks so yummy and delicious.. one of my go-to meals. Great to hear that you had a wonderful time back home..Pasta looks absolutely delicious, Sayantani.. Thanks for your encouragement. yes most of the work is almost done. now have to arrange the things in place. glad that you liked the recipe. Lovely recipe n a great colorful presentation !! Sorry to hear about your plants. haven't seen you for quite a while . Hope that now you have settled down and by the look of your post you are back with a bang. The pasta looks delicious. By not getting your earlier comments reminded me of a famous bangla song' tomar dekha nai re tomar dekha nai." Bhalo theko. bumped in here for the first time..nice blog...that pasta dish looks delicious...yummy...simple n easy recipe..
Nice recipe! good to have found your blog. I know it's lots of work once you get back from vacation...Got to face the same situation soon :-) So sorry to hear about your plants...These maids.. Welcome back! Glad you enjoyed your stay with yur family... and the reality kicks in one you get bak home... cleaning up the house after a long break.. Good luck with your cleaning and the penne is just delicious! wasn't letting me comment with my wordpress account. Welcome back Sayantani...loved reading this post..Cleaning process never gets done..There's always something to be done..imagine 2 mths of vacation and u come back to the clutter..and with a todddler in tow..you yet managed to post this awesome recipe..Love it and will make this soon as my kids can't have enough of pasta...Love ur writing style as always..Yes I can understand how u must miss everbody back home...Hopefully the Plants will grow back with ur love and attention..I guess they were missing you TOO..